Implementing an IT project requires an organisation that is able to align the solution with needs and to keep the commitments of the different participants. As IT projects represent major corporate challenges and investments, over what are sometimes very tight deadlines, the client's organisation secures and strengthens its system by asking for assistance with project management. Our Project Management Assistance community is managed at a national level and makes particular use of Yammer (a social network for companies) to share articles, feedback from experience, and also to get advice for its assignments or answers to calls for tenders." 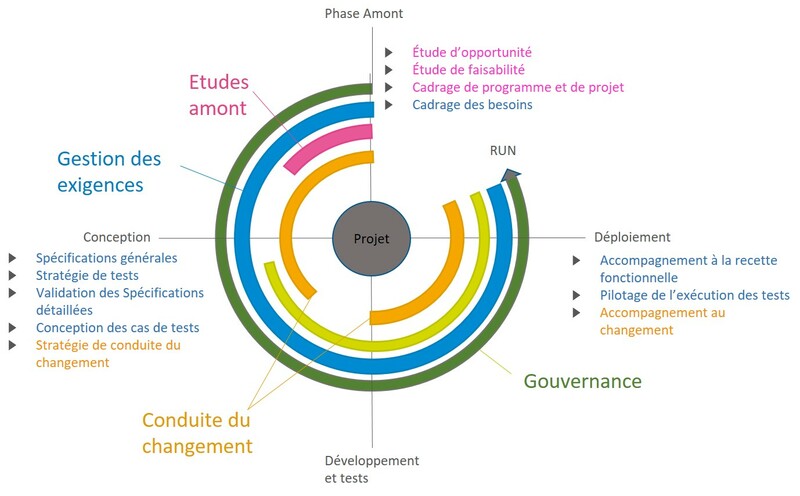 The Project Management Assistance offer byOpen is available at a fixed price, in AT or Skill centre mode. Through their Audacity as a source of ideas and freedom to innovate. With more than 900 consultants, Open works on the creation and development of applications either as a Project Management Assistance Designer, a Project Management Assistance Project Manager or Digital PMO, or as a Coordinator and Product Owner.